He is one of the most influential artistic directors of the last century and he is Canada’s own, Normand Latourelle. Cavalia and Cirque du Soleil fans, recall Latourelle’s unmistakable ability to present a show that not only wows an audience, but also elevates people out of their seats onto a voyage to a magical place – that is simply out of this world. If you are a horse enthusiast and you haven’t seen Latourelle’s latest production Odysseo, you really should. This peaceful and dazzling display of horses and performers on stage is a once in a lifetime experience. 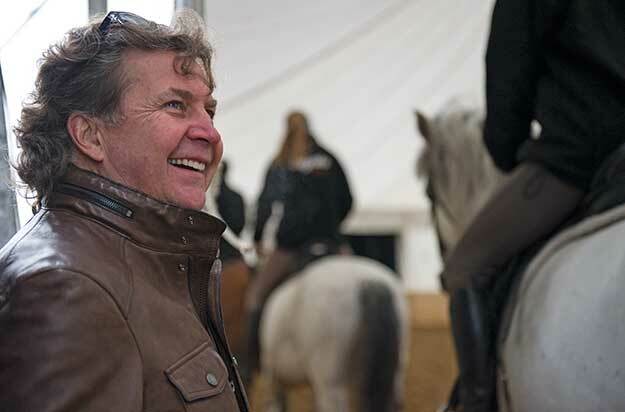 “We call it Odysseo, because it is an odyssey where man and horse go to discover the most beautiful landscape in the world,” says Latourelle. While a lot of Latourelle’s work involves flying acrobats, lights and dynamic stage elements – the horse he says was an unlikely element to his productions. Without a costume or any type of high-tech gimmicks, a horse walking on stage horse is a showstopper – to any crowd. For a lot of us horses are the magical piece to our own puzzle. Latourelle feels this is because a horse has been our partner throughout human history. 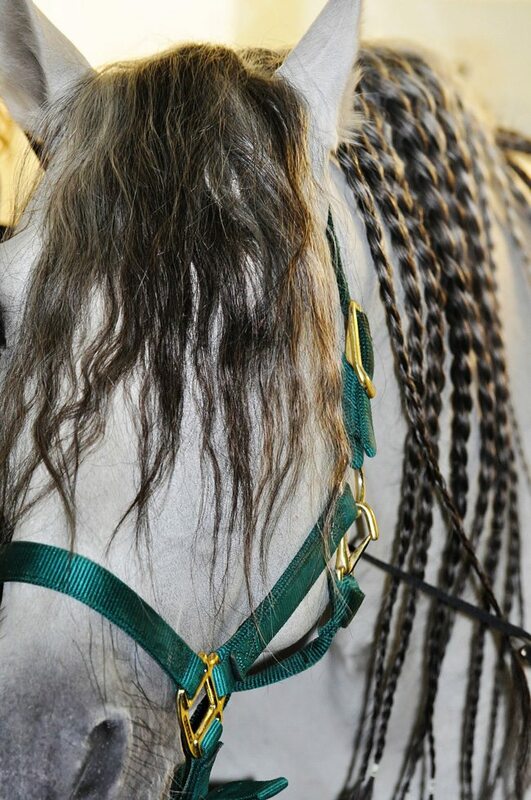 Odysseo he says is a tribute or an ode to what the horse has helped man accomplish throughout the centuries. With a dramatic display of horsemanship and human fervour, Latourelle’s work ultimately allows people to connect with their joyful inner spirit. In today’s age of urban sprawl, Latourelle senses everyone craves the connection to nature. 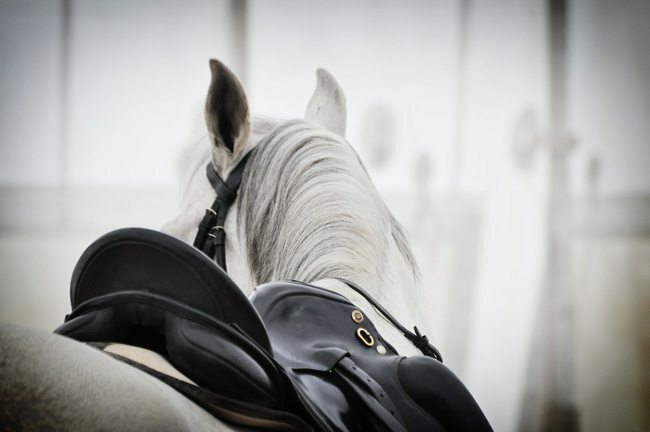 For an urban audience, Latourelle senses that most people are intuitively connected with horses. They have been our partners and method of survival throughout our history and our kinship with their nature is clearly understood. Most people today are not aware of all the facets of a horse, however even urban audiences somehow instinctively sense that they can understand their personalities and vibes on stage. Liberty work is a very popular style of training and Latourelle feels this style of horsemanship allows for each horses, to remain a horse. Being happy can be a gift, comments Latourelle. 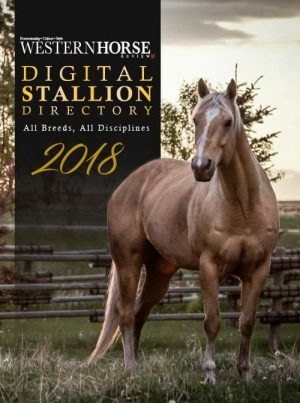 Despite his massive shows involving countless hours of horse training and manpower, the message is contentment and joylessness for all living creatures. Latourelle’s symbolic use of the horse to convey this message in Odysseo, is energetically credible in every aspect of this epic production. As the horses and riders of Odysseo arrived in Calgary on Thursday, Western Horse Review got an exclusive behind-the-scenes look at this amazing theatrical production and the only 6-Dimension show in the world. There are many elements to this performance – from the grandeur of the white, big top tent, to the live Hollywood-style movie set, to the gravity-defying acrobatics, horses and humans – Odysseo promises a breath-taking experience. I was thrilled to be part of Thursday’s Media Meet & Greet where I had the pleasure of being introduced to several of the horses and riders of Odysseo, who instead refer to themselves as “artists”. 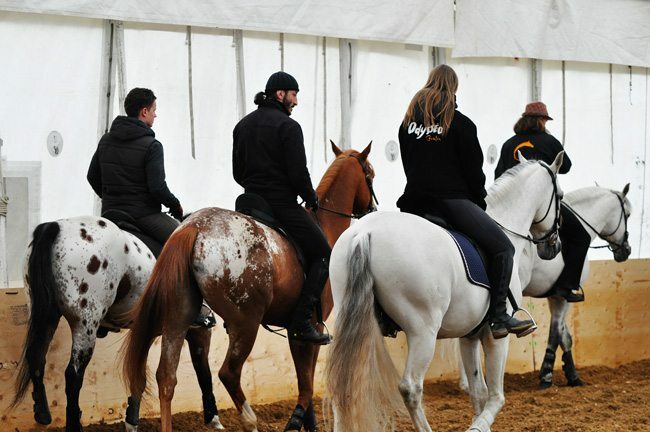 Every artist in the production is trained in all disciplines including Dressage, Roman riding and liberty. This is to guard against human injury and ensure the show goes on in any circumstance. Here’s another fellow with an intense mane care schedule. Incidentally, all of the horses who perform in Odysseo are either geldings or stallions. In between shows, the horses are transported to farms within the country of performance, to receive “vacations” away from the limelight. 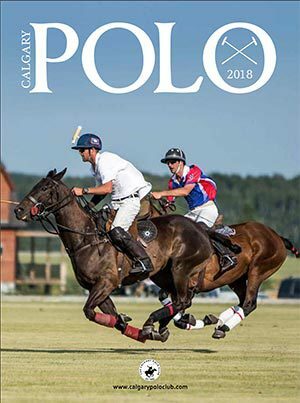 Just prior to arriving in Calgary, the horses of Odysseo delighted in two weeks in the lush fields of a Langley, BC, farm. Now back to work in Calgary, I got to watch as many of them were rode in a warm-up routine for the first time in 14 days. Many were fresh and lively but with the majority outfitted in loose-ring snaffles and all the while maintaining loose reins, their riders took it all in stride. 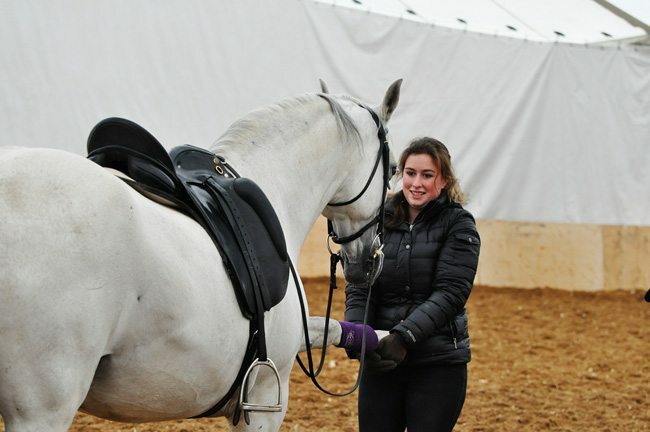 Here a rider takes a few minutes to stretch out her mount’s front legs and ensure the girth isn’t pinching anywhere. Emily Love, aka “Emmi”, was one of the riders who took the time to show me around. She takes a moment to visit with Quiebro, possibly one of her favorite mounts. Emmi’s family has plans to adopt Quiebro after his career life on tour. 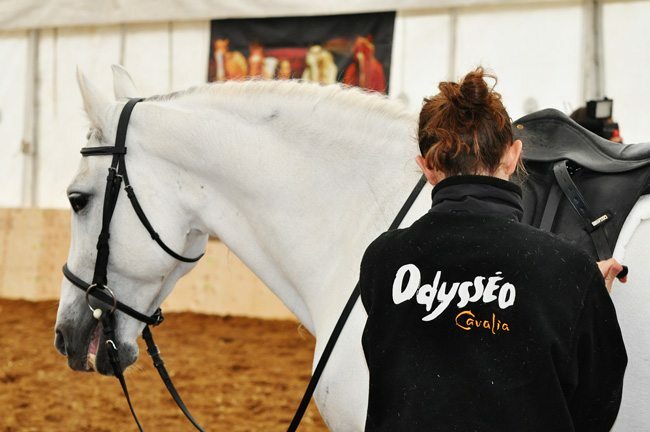 In Odysseo, Quiebro performs acts of liberty, Dressage, and Roman riding. Away from the stable and the warm-up arena, Emmi showed me where the artists prepare for their scenes. It is estimated that almost 1,000 costumes are required for Odysseo with some artists requiring up to seven different costumes in an evening. 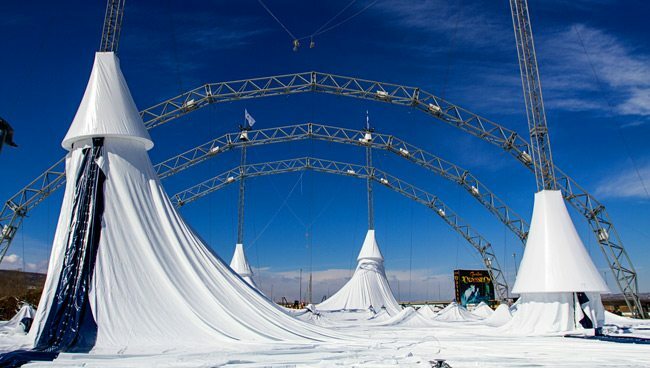 • 17 – the number of days it took to erect the show’s big top white tent. • 49 – the number of artists (acrobats, aerialists, riders, dancers and musicians) involved in the show. • 110 – the number of trucks it requires to transport horses, equipment and people from location to location. 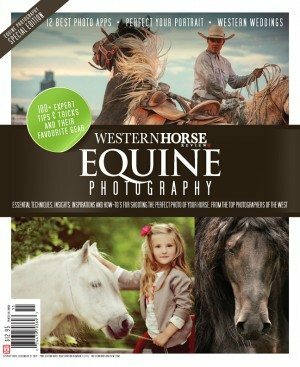 • 70 – different horses associated with the show, representing 11 different breeds. 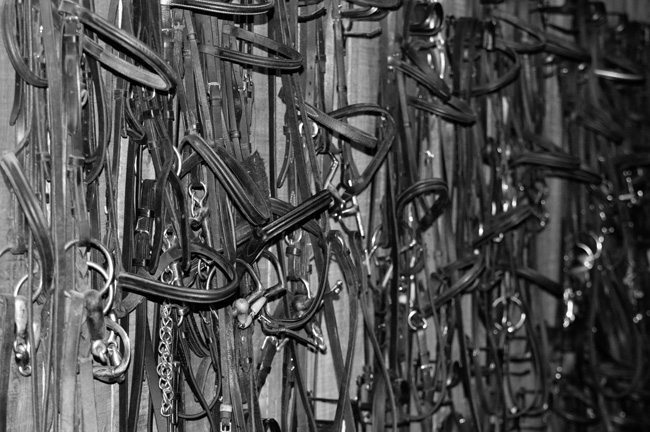 • 8 – the number of “showers” or wash bays provided for the horses in the stables tent to ensure they are cleaned and cared for properly. 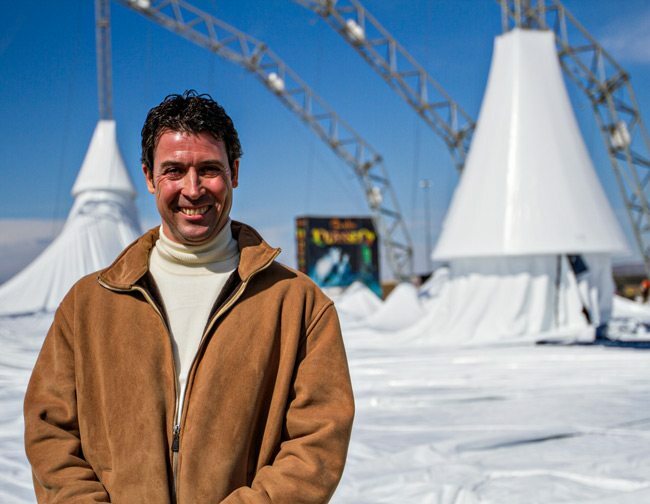 • 6 – the number of days Odysseo grooms and artists work per week. 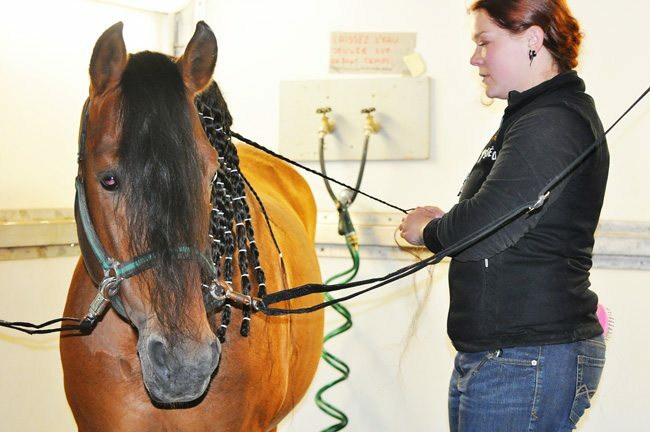 • 2 – Vet techs tour with the company to every location to ensure the health of every horse is of paramount importance. 1 farrier is also on tour all the time. • 1,000 – the approximate number of costumes used every night during a performance. 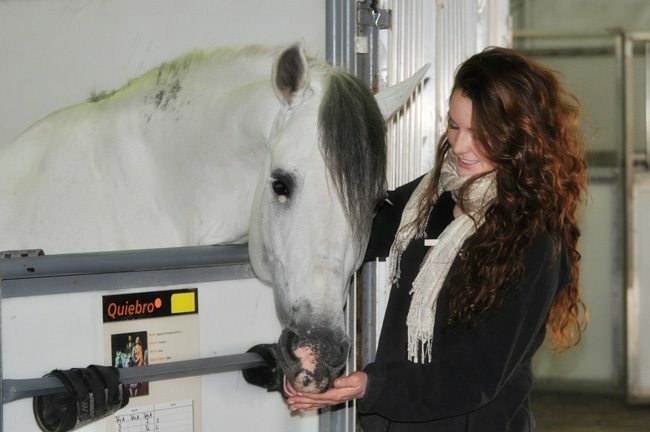 • 6 – the youngest age of a horse currently involved with the production of Odysseo. 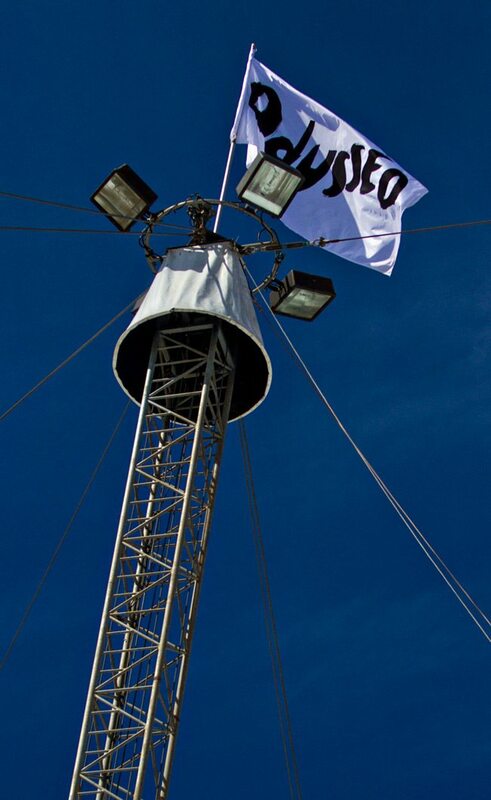 • 1,000,000 – to date, there are more than this number of fans who have seen Odysseo, which will celebrate its 600th performance since its inception. Odysseo is a 6-Dimension show first of all because of its three dimensional aspect involving its movie-style set that incorporates the interactions between horses and humans. Layers of mesmerizing decors, combined with gravity-defying acrobatic and areal stunts and the staggering effects created by state-of-the-art scenery makes this humongous stage a real 3-D feast for the eyes. To enhance this breathtaking experience, the production presents a splendid voyage with extremely high-definition computer graphic images, transporting the audience across the world’s most beautiful landscapes. To project these breathtaking 3-D graphic backdrops on an immense cyclorama the size of three IMAX screens, Odysseo uses projectors as powerful as those illuminating the grandest movie theaters. But whereas a cinema has only one projector, Odysseo uses 18 simultaneously. This “live 6-D” voyage is a veritable revolution in live entertainment production – making Odysseo a show unlike any other on the planet. No matter how often we try to tell each other the moisture will be good for spring growth, the generous helping of snow I see falling down on our pastures, arena and barnyard this morning is not exactly the Easter treat I envisioned. All the same, there’s plenty to get excited about today, for this afternoon, the newest Cavalia presentation – Odysseo – comes to Calgary. 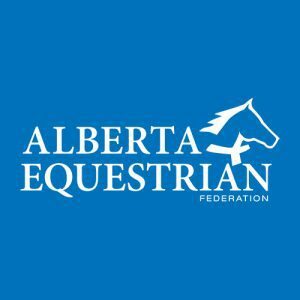 Trailers carrying the precious cargo of an impressive cast of 70 horses representing 11 different breeds including Appaloosa, Arabian, Canadian, Holsteiner, Lusitano, Oldenburg, Paint Horse, Quarter Horse and Spanish Purebred will soon be unloading at Canada Olympic Park this afternoon in preparation for Calgary’s edition of the equine extravaganza. We were so pleased to be invited to tour the grounds and photograph the horses emerging from their trailers and settling into their new spacious homes, which I believe they’ll have until early June, before moving on to Edmonton. If you haven’t seen this production, you are truly missing out. Regardless of what genre or discipline of horse lover you are, I promise you, this show will awe you. Tickets are now available at http://www.cavalia.net/en/odysseo, and yes, we will have a few to give away in the next few weeks as well, so be sure to stay tuned. 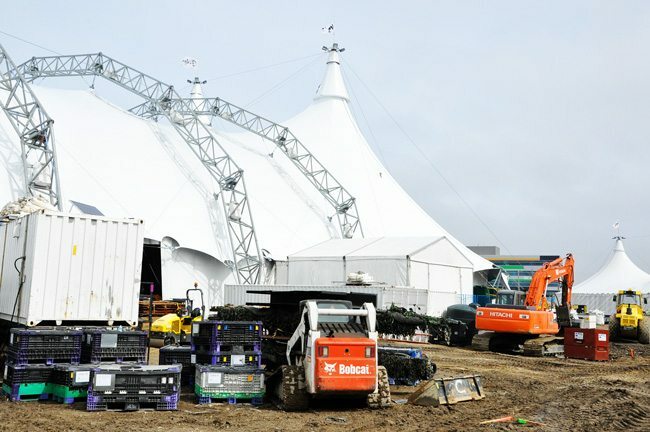 In the meantime, enjoy these photos of the tent raising of Cavalia which took place a few weeks ago, in advance of the cast and production arriving this afternoon. They were shot by Adelle Ellis, a SAIT photojournalism student we had the pleasure of hosting through her practicum.